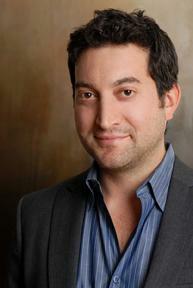 Shutterstock's Jonathan Oringer: NYC's First Tech-Startup Billionaire? Did This Man Really Just Become New York City’s First Tech Billionaire? When you think of New York City’s burgeoning startup scene, you might think of trendy social-media companies like Foursquare or Tumblr or e-commerce sites like Gilt Groupe. You might think of the Brooklyn-based startups that are helping to forge the new DIY economy, like MakerBot, Etsy, and Kickstarter. A couple of those startups—Tumblr and MakerBot—recently sold for huge sums. A couple of others could be in line for substantial IPOs. If true, that’s a significant landmark in the growth of a scene that is fast surpassing Boston as the nation’s second-largest tech hub. But how do we know Oringer is really the first? I called Sequin to find out. He told me he was a little surprised that Bloomberg had him making the claim quite so definitively. Sequin clarified to me that Oringer is the scene’s first billionaire founder “as far as I know.” He added that he “couldn’t come up with anyone else” who meets the criteria: a New York tech or new-media startup founder who owns enough of a company that his own share translates to $1 billion or more upon exit (or on the stock market, if the company has gone public). So while Tumblr recently sold to Yahoo for $1.1 billion—heralded as the city’s biggest-ever venture-backed startup exit—Tumblr founder David Karp doesn’t qualify, because his stake in the company was only about 25 percent. Not that Karp isn’t plenty rich. But he’s not a billionaire, even on paper. Any other candidates? Business Insider’s Nicholas Carlson, who knows the scene better than most, suggested via Twitter a name that is probably familiar to the Bloomberg reporters who wrote the piece: Michael Bloomberg himself. “Would you consider him tech?” Bloomberg’s Sarah Frier asked. “Yes,” said Carlson. “He built a private Internet.” Fair enough—tech is an amorphous category in any case. But as Carlson conceded, Bloomberg’s success story dates to an earlier era, before local tech publications sprouted up in the mid-’90s to coin the term and cover the local scene. On the other hand, some argue that the term Silicon Alley is itself outdated. Among them is venture capitalist Fred Wilson—who, come to think of it, might have a claim to the title himself, having achieved a reported net worth of over $1 billion by investing in some of the city’s biggest success stories. But he’s a venture capitalist, not a founder, so it seems reasonable to exclude him and his ilk from the running. I checked with Anand Sanwal, who tracks the venture-capital market, and he said he couldn’t confirm Sequin’s inference because he doesn’t track founder ownership. But he added that it “seems to be right.” Sanwal’s firm, CB Insights, released a list just last month of New York’s largest venture-backed exits, with Tumblr leading the way. He noted that the list doesn’t include Shutterstock, because Oringer didn’t take venture-capital money—which helps explain why he still has so much control of the company. Until someone proves otherwise, then, Oringer’s claim to the title can probably stand. But how much longer will he remain alone in the billionaire’s club? Despite the wild growth of the city’s startup scene in recent years, it may be longer than you think: Crain’s’ list of the city’s top tech IPO candidates is headlined by Gilt, Fab, and AppNexus, none of which has been valued above $750 million. That said, the New York Tech Meetup’s list of “made in NY” startups boasts a dizzying 592 companies and counting: Viggle, Vimeo, Vindico, Visual Revenue, Vivastream, Vixely, Voxel, and Voxy, to name just a few of the V’s. Who knows if there’s a Google or Facebook among them—but it’s a good bet that there’s at least another Shutterstock.